The incredible and sweaty bluesman you see in the beginning is Freddie King. 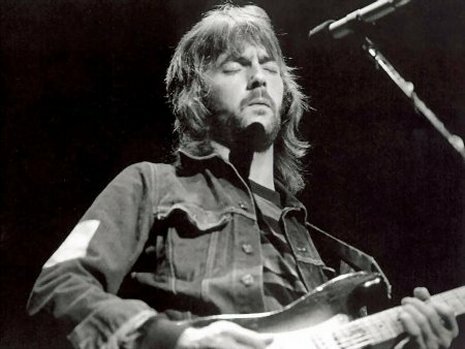 Don’t be confused, this is a Clapton video, but its culled from a never released Martin Scorsese PBS documentary on Clapton’s heroes called, “Nothing But the Blues.” Well, it was shown, but never released on DVD, one of the mysteries of modern media. Anyway, this is Clapton at perhaps his most fiery and demonically possessed. His bends at the 5 minute mark practically bend the whole world, and its the highlight of an absolute rip roaring moment in Clapton’s later career. The nice thing about Eric Clapton was that the older he got, the more confident he became playing blues, a notion he explains at the end of the video. To paraphrase George Harrison, when Eric is in the moment, he is so in tune with the music and himself, that he just shines in such a way that’s impossible to deny. It’s no wonder people compare this guy to God. Check it out. Powered by WordPress v 5.0. Page in 0.453 seconds.